If you have been struggling with a healthcare issue, or if you are just not feeling your best, consider partnering with the team at Advanced Medical of Twin Cities to achieve optimal health. We offer a comprehensive, multidisciplinary approach to healthcare, where you can receive the services of physicians, chiropractors, rehab therapists and others in one state of the art location. You no longer have to make different appointments at multiple locations to get the care you need. Our team approach to healthcare gives patients comprehensive and individualized care that can make a real difference when it comes to feeling your best. Our approach to healthcare gives you the best possible chance of seeing real results that will improve your overall health and that will last. Our multidisciplinary team works together on each case to develop an individualized approach to your health issues. We understand that each of our patients is different with a unique set of symptoms and goals for their health. We also work with you to understand the health conditions that you face, what has worked (and not worked) for you in the past so that we can tailor a treatment plan to your unique needs. The results of this approach are that you can be confident that you will receive the best healthcare in Golden Valley, MN. Battling a health condition or injury can be unsettling, confusing and frustrating, especially if you have to jump around from healthcare provider to healthcare provider looking for someone who can help. It can feel like you do not matter and that you will never find a treatment plan that will actually work for you. 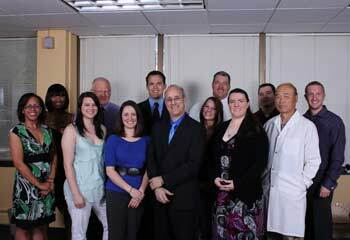 The team at Advanced Medical of Twin Cities work together to give you the best possible treatment. Very often we recommend a combination of medical treatment, chiropractic adjustments, massage therapy, acupuncture and nutritional advice to relieve your symptoms, address your condition and help you feel better.